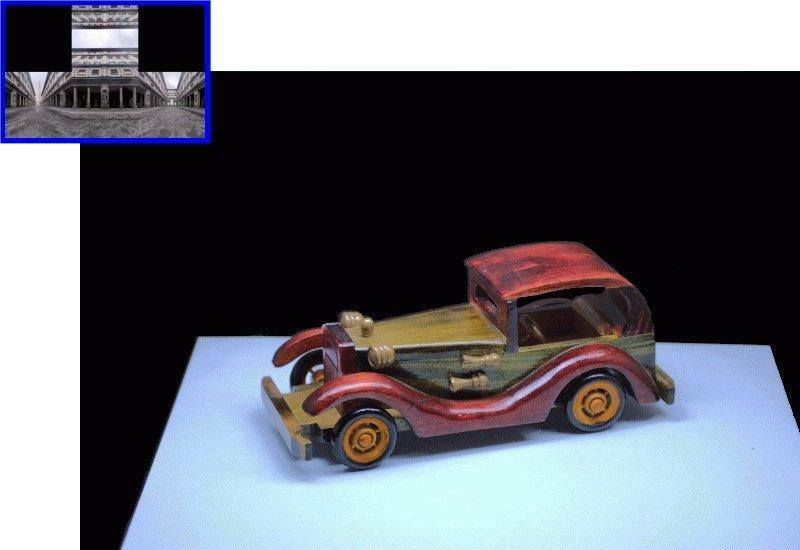 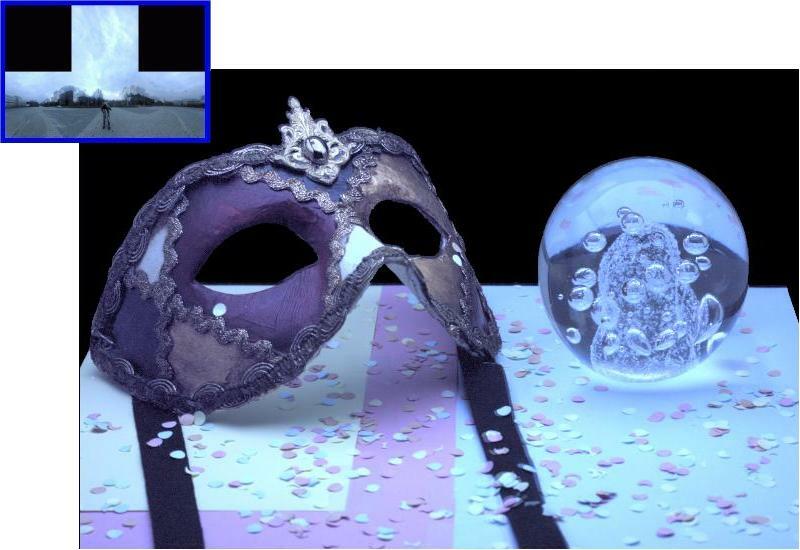 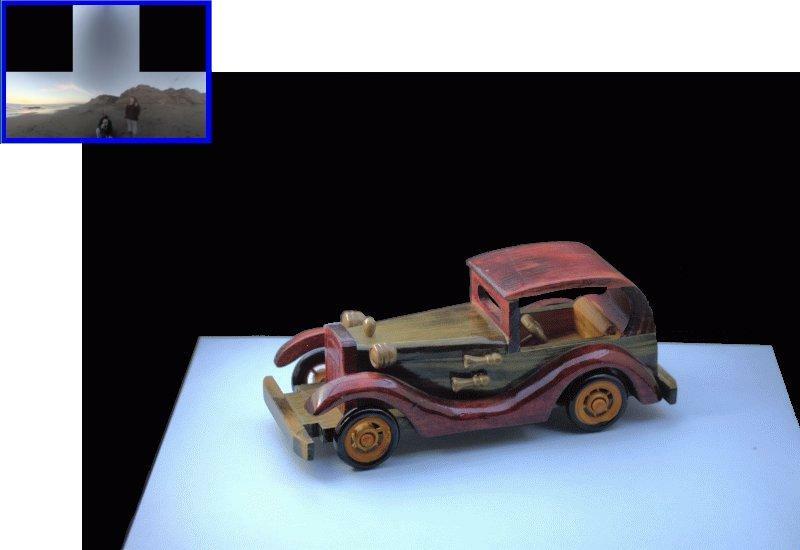 "Accurate Image Based Re-Lighting through Optimization"
In this report we present a new re-lighting technique that, for a single viewpoint, accurately captures the reflectance field of real and virtual objects, without restrictions on their geometrical complexity or material properties. 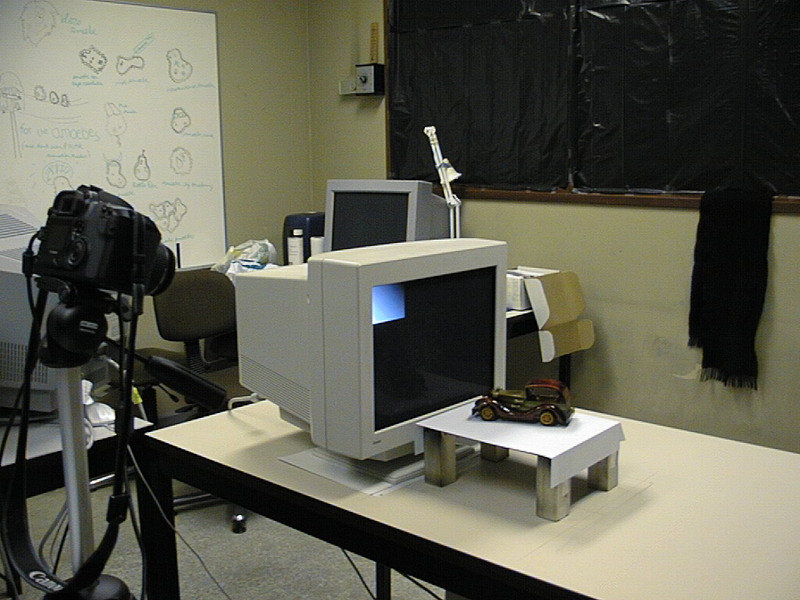 As a result the objects can be re-lit under arbitrary lighting conditions. 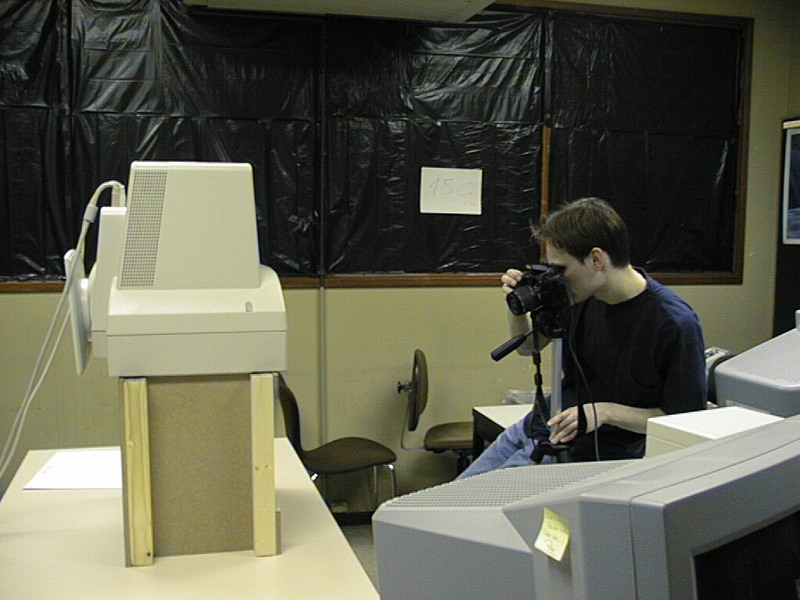 To capture the reflectance field, we take photographs of an object lit by several lighting patterns on a surrounding discretized hemicube. 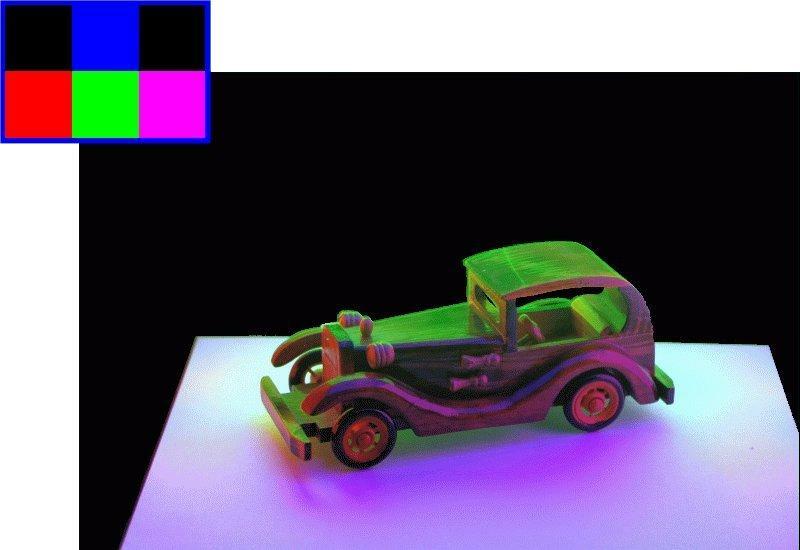 The illumination of each pixel due to emitted radiance from each discrete patch on the hemicube is approximated by a reflection coefficient and a rectangular support which are found through an optimization procedure. 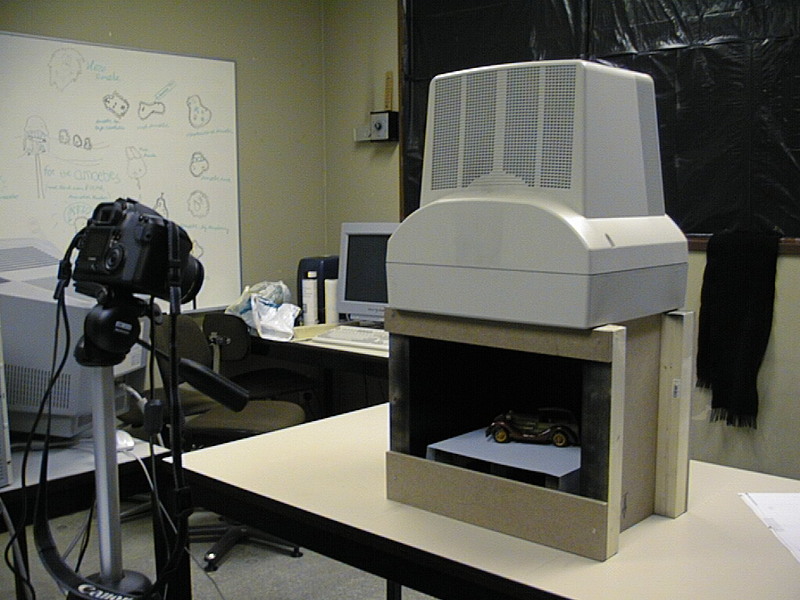 The discretization of the hemicube ensures sufficient angular sampling to capture diffuse material properties. The use of a per patch support accommodates the small solid angle of a incoming light important for specular materials. 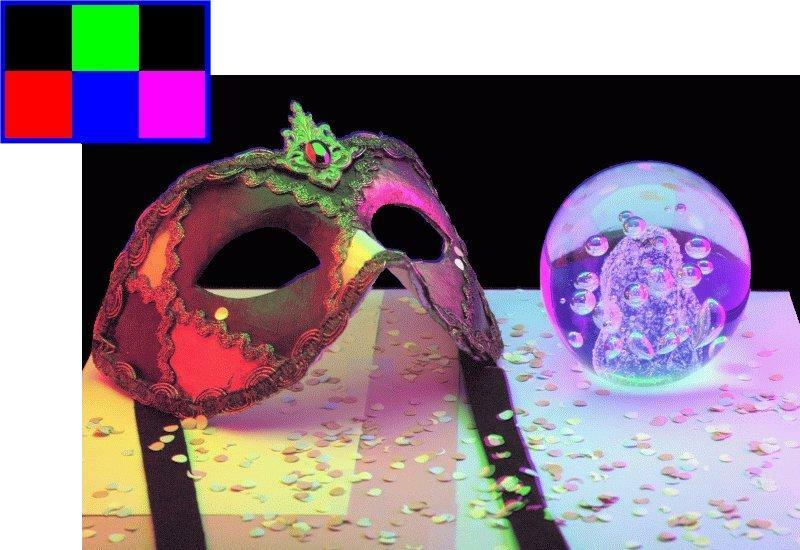 To re-light the object, the target illumination, a high-dynamic range environment map, is averaged over the support and multiplied by the reflection coefficient, per pixel and per discrete patch on the hemicube. The results obtained show accurate re-lighting of diffuse as well as specular objects.